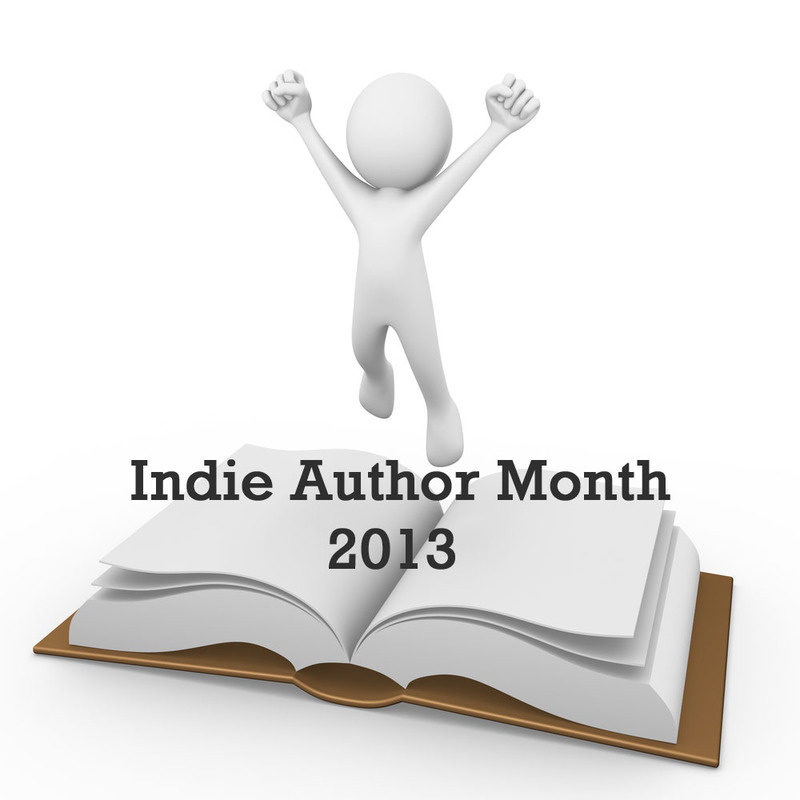 Indie Author Month 2013 – Aaaaaaaand, we out! We hope you’ve enjoyed finding out about new books and authors, reading the guest posts about why people write, and possibly found some new stories to add to your own reading lists this summer. For us, it has been a pleasure hosting such a lovely, and enthusiastic, group of authors. They’ve tweeted and re-blogged the event all over the place, and come back to check out the other authors regularly – thank you for taking part so actively. Our giveaway winner has now been selected – congratulations to Karen E 🙂 our email is on its way to you, as I type! This year, we featured more authors than in 2012, and were able to offer each a different type of post, so we hope you liked seeing something different. The posts attracted just under 2000 views in the month, which was also more than last year, so overall – we’re happy. Thanks again for taking part – hopefully see you next year! We’re nearly at the end of Indie Author Month – IAM2013 – and to close the event we’ll be featuring some special posts today from the authors who contribute most frequently to Aside from Writing. 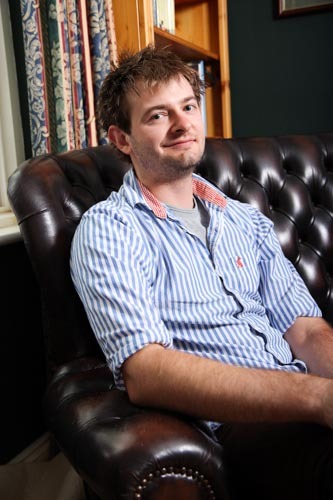 For our first feature of the last day, regular Tony Talbot is here to tell us why he is an indie author. Believe it or not, way back in the mists of time (I’m talking pre-2009), there was a mark of shame upon certain writers. This mark meant they wandered the literary world, lost and forgotten, their voices echoing, unheard. They were The Unworthy, the ones who failed the climb The Five Steps of Publishing. Instead, they toiled in the mines and the valleys and could only look at the shining lights on the summits, dreaming and writing their dreams. They all dreamed of one thing, these lost men and women. They dreamed that one day they would find themselves the most precious gifts of all – an agent and a publisher – and their voices would be heard across the world. Those on the mountains scorned those below. Not good enough, they would shout, loud enough to be heard in the valleys and the mines. The insults would fly from the hills: Self-published! Vanity Press! Might as well throw your money away! No one wants to read what you’ve written! Not for us! The music makers and the dreamers of dreams below would tell themselves anyway that they were good, they were worthy, that one day They Would Find an Agent, that someday their voices would be heard. They told themselves that, and toiled on. And so it began to change. There were whispers of rebellion down in the mines. Fires were Kindled. Words were Smashed. In Nooks and crannies down in the dark, things began to change. Slowly at first, but they changed. The men and women of the valleys slowly stormed the hillside Palaces of The Agents, broke down the Gates of The Publishers and simply rolled over them. No longer would they be needed. The Lost had found the power of digital light in their hands, and the light was good, the light was powerful. The light had set them free. I was one of those who toiled in the valleys and looked skyward. I was one of those who dreamt of agents and publishers, of seeing my name on a bookshelf in a bookstore (They still had those in 2010, would you believe). I got a few interesting replies, but if an agent looks at an extract and thinks it won’t sell a million copies, they aren’t interested, and they weren’t. Fair enough; they have mortgages to pay like the rest of us, but what that lead to was a blinkered vision of what they wanted. You have a short story of 3000 words? Forget it. Book of Poems? Hold the phone away from your ear until I stop laughing. Want to publish your book on the 19th century sewage system of Vienna? No chance. And it was a stigma, that’s what the writing magazines and books called it, a mark on your failings as a writer and human being if you couldn’t get an agent and had to…(rinses out mouth)…self-publish. It was a dark time for the rebellion. So I joined Amazon’s publishing program. I joined Smashwords. Later, I joined Goodreads and Facebook and Twitter and Booklikes, and I did guest posts and blog tours and all the other electronic stuff I do alongside making people and places up for fun. I joined them because I wanted to be in the revolution. I joined them because I wanted my voice to be heard. I self-published my first short story on Amazon – The Trunk – on Christmas Day, 2010. Mainly because my mother-in-law had received a Kindle for Christmas and I wanted to see if I could send her the story, and it seemed a good place to start, with something small like that. Something small. The Trunk is a VERY short story – about 2000 words – about a small boy who hides from the Holocaust. No conventional publisher would ever have touched it; there would be no profit in printing something that short. I’ve made about $40 from sales of The Trunk, but more importantly to me, there hasn’t been more than two months when I haven’t sold at least a copy. I’m as delighted to sell one a month as when I sell twenty. Even more important to me, I’ve had reviewers comment that it made them cry. My writing is out there, it’s in the world and making people cry, it’s making them think. I’m pretty proud of that and not ashamed to say it. And not an Agent in sight. The Agents told me I was not good enough, that self-publishers were the lowest of the low, with no talent and no voice. The people who matter – the readers – tell me the opposite, again and again. Yes, I stormed The Palace of The Agents. I screamed with the rest of The Lost that we are good enough. We will be heard across the world. I’m proud to be an Indie. Hear me roar. Our featured author today is Hazel West – you may remember her from our February feature on her novel On a Foreign Field. 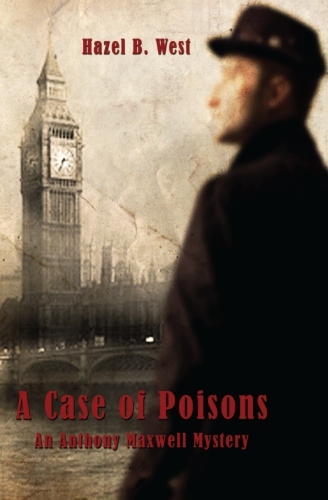 Her latest book A Case of Poisons is due for release on 3rd June, today you can find out more about her in one of our special ‘This or That’ interviews. Hero or Villain? Sometimes, really awesome villains are harder to lose than really awesome heroes. Pirates or Zombies? Pirates! And no, I don’t care for zombie pirates overmuch. Popcorn or Chocolate? Chocolate, extra dark. London or New York? London! Classical or Pop? Classical; seriously most of my favorite music is way older than me. Elf or Dwarf? Well, if I narrow it down to Orlando Bloom or Richard Armatage, then I’m afraid I would have to choose Dwarves. James Bond or Jason Bourne? Jason Bourne—love a guy who gets the job done without being constantly distracted by the local female life. Early Bird or Night Owl? Night Owl, but does it still count on those nights I stay up till dawn working on something? I’m Hazel B. West, a self published author who currently has four published titles Freedom Come All Ye, Ballad of the Highwayman, On a Foreign Field, and By Blood or By Bond (along with it’s companion backstories) and the upcoming Anthony Maxwell steampunk mystery series. I love English, Scottish and Irish history, and use my research to write historical novels. Apart from being a writer, I love to read, sketch, listen to music as well as play my instruments, and drink coffee. I’m a history buff and bibliophile and would love to hike in the mountains if I didn’t live in Florida. Anthony Maxwell is a private investigator, a consultant for the mostly incompetent inspectors at Scotland Yard, on occasion a writer, and always a lover of coffee. He has been working small cases for several years to pay the bills when he’s introduced to the first multiple murder case of his career early one morning, when a witness catches a man trying to unload a body to bury in a nearby graveyard. Soon the first body is joined by three more in the course of a single morning and Anthony knows this is no ordinary serial murder case. And why is the murderer targeting beggars and urchin children? If that wasn’t cause enough to worry, all the victims are covered with horrible wounds and show signs of exotic poisoning. Anthony, along with his partners Tobias—an ex-broadsman and well-know charmer—and Scamp—a street smart and talented young woman—work to find out who is murdering the helpless beggars and children in such horrifying ways. The first book in this new Victorian steampunk series takes the three companions to the limits of their abilities as they go up against canny murderers, bruisers who appear invincible, anarchist groups, and even ancient British royalty in the biggest case Anthony Maxwell has ever worked in his career. Our featured author today is Richard Phillips. This morning we featured a preview of his second book Return to Finndragon’s Den, which launches today – now you can find out more about him in one of our special ‘This or That’ interviews. Half-Empty or Half-Full? Half-full every time. I’m an optimist and always look on the bright side. Cats or Dogs? I just love dogs. I have a rescue dog named Benson who’s nearly 10 years old now. Many of the characters in the Tales of Finndragon series are based on people I know, and there’s a dog called Bones who’s based on Benson. Reading or Writing? There’s never enough time in the day to do both. At the moment writing is taking up so much of my free time, that I haven’t read a book for a about a month. James Bond or Jason Bourne? I must be the only person who doesn’t like James Bond. I can remember watching Roger Moore use a load of crocodiles as stepping stones when I was kid. I thought it was so unrealistic. I like stories, however fantastical to be believable, with rules that can’t be broken. Summer or Winter? I love the sun, but unfortunately winter seems to last twice as long as summer in Wales. City or Country? I live in a town, but the countryside is literally on my doorstep. Ever since I was a kid, I’ve spent many happy days exploring the wonderful landscape. I drew inspiration for my novels from the ancient site of Morlais Castle, a 13th century castle within 2 miles of my home. There is very little trace left these days. Early Bird or Night Owl? I’ve always been an insomniac, even more so since I started writing, often staying awake past 2am. The trouble is I have children to get to school and a day job which gets me out of bed by 7am. My name is Richard Phillips and I write Young Adult Fantasy novels, under the pen name Richie Earl. I self-published my first novel, The Legend of Finndragon’s Curse, as an ebook on Amazon in December 2011 and recently on Smashwords. It is the first book in a two part series entitled Tales of Finndragon. I had an offer of a publishing deal from a small Welsh publisher, with regards to book 1 over sixteen months ago, but I haven’t signed as yet. The publisher applied to the Welsh Book Council for a grant to help with the cost of publication, which was declined last summer. Any reader who likes to lose themselves in a fantastical new world will fall in love with The Legend of Finndragon’s Curse. The protagonists are ordinary children without any special abilities, longing to find their missing father and resume their normal family life. The children discover an ancient scroll relating to a fifteen hundred year old Welsh legend and another clue of a photograph in their father’s belongings. So they set off to find him in the cursed Kingdom of Morgannwg. Their epic quest brings them into contact with medieval knights, wizards and magical creatures. It is a story of heroism underpinned by family values. 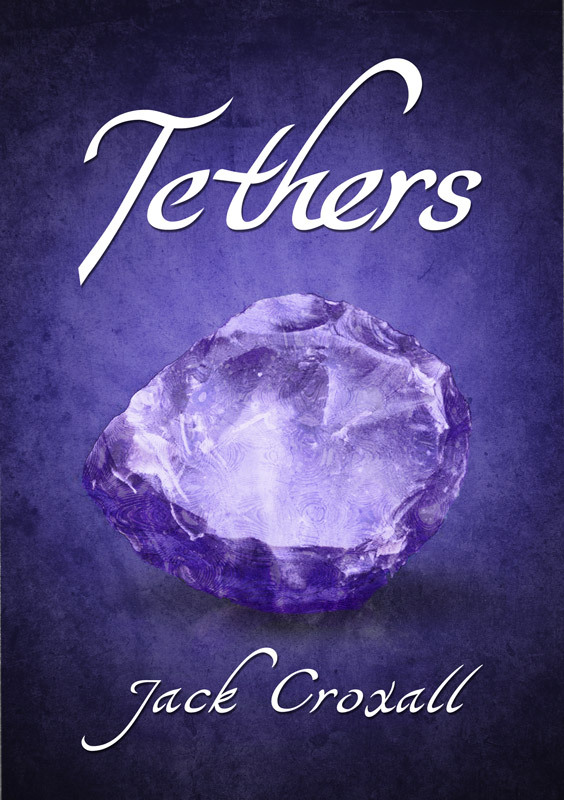 Book 1 has a cliff-hanger ending, leaving readers thirsting for more. I am sure that fans of Harry Potter would be enthralled by these books. I have to admit that I was very naive when I first self-published. Over the last twelve months I have started to build my platform, and I now have a growing presence on Twitter (@finndragons), Facebook (Tales of Finndragon)and Goodreads. As well as the two novels, I have two as yet unpublished children’s picture books written in verse and a collection of poetry. The second book, Return to Finndragon’s Den., is out on 29th May. It will be released as both an ebook and paperback, with a paperback version of book 1 also to become available. I’m also preparing separate versions of both books for the US market. I am 47 years old and have worked as a Registered Nurse since 1985, currently employed by the Welsh Blood Service. I am married with three young children and managed to write my novels despite my hectic work and family life. My children were the inspiration for these books, and I based the leading characters on them. I enjoy running, having completed the past two Cardiff Half Marathons. I also enjoy cycling when I have the time and I recently been joined by my two youngest children on a regular 10 mile ride. Return to Finndragon’s Den link will be available from May 29th. 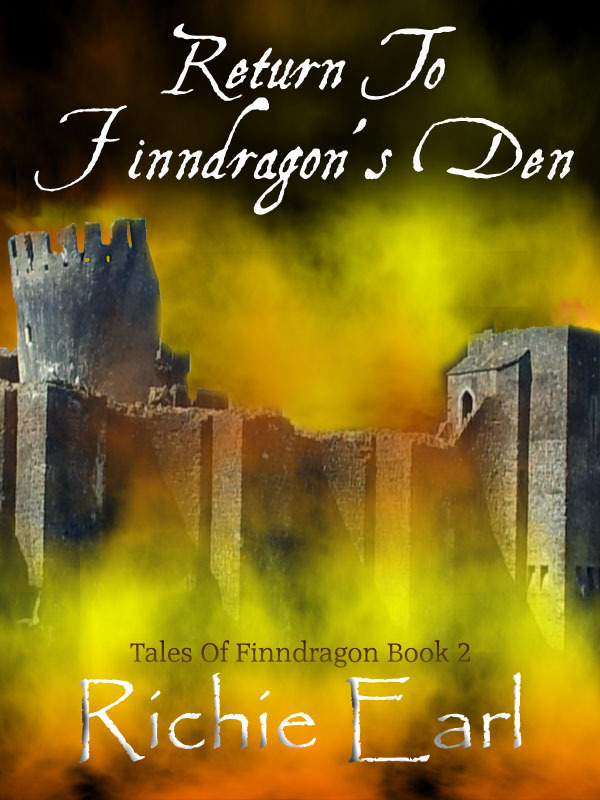 Our featured author is Richard Phillips, and he’s joining us today for the launch of his second book Return to Finndragon’s Den. Let’s find out more about him and his books! My name is Richard Phillips and I have written a YA fantasy series entitled Tales of Finndragon, under the pen name Richie Earl. Book 1, The Legend of Finndragon’s Curse, was launched December 2011 and has had some excellent reviews. Book 2, Return to Finndragon’s Den, is to be launched May 29th on Kindle and a week later in paperback. I’ve lived all my life in Merthyr Tydfil in South Wales, which is quite a large town by Welsh standards. I’m a family man and have been married to Angela for sixteen years and have three children: Katie 13, Lucy 9 and Jonathan 7, who have inspired and encouraged me to write. The family is completed by Benson, a rescue dog who has been with us for nine years. I have based the main characters in the story upon my children. Writing has been in my blood since an early age, when I particularly enjoyed writing poetry. A talent inspired by my late grandmother. At the time I wrote for my own pleasure and was reluctant to share my work with even close family and friends. 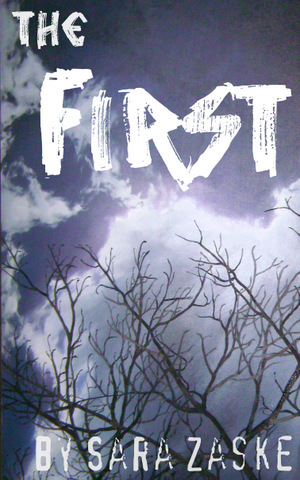 I did start a YA sci-fi novel many years ago, which I will come back to soon. Following the sudden death of a close friend, I wrote a collection of stories about our adventures which I’ll publish in the future. But for the time being I want to concentrate on writing what I love the most – YA fantasy where I can let my boundless imagination run wild. My next project is an apocalyptic, time-changing sci-fi/fantasy adventure for young adults. I’ve also written two picture books, in rhyme, for younger children. I haven’t decided what to do with these as yet as I’m unsure whether to find an illustrator myself, or to seek an agent or publisher. I have to juggle my writing schedule with a busy work and family life. I qualified as a nurse over twenty years ago and currently work for the Welsh Blood Service, which involves travelling to various towns across South Wales collecting blood donations. When I’m not writing or promoting my book, I like to occasionally work-out in the gym, I run regularly and enjoy cycling, particularly with Lucy and Jonathan. I’ve completed the last two Cardiff Half Marathons and I’ve entered the event again this year. Why sample? Because you can. When you pick up a book at a bookstore, what’s the first thing you do? Look at the cover? Read the flap stuff? I open it and read the first line or paragraph. For me, it’s the only way to tell if it’s going to be a good book. Usually though, I like to read 10-20 pages before I decide to get it. But by then, the bookstore employees are looking at me funny. With ebooks, you can read the first couple chapters of nearly any book that catches your eye and read them at your leisure. This is one of the best ways to discover Indie authors because let’s be honest, there’s a lot of chaff out there in both traditional and Indie publishing world. And who wants to spend time and money on a dud? Of course, sampling is super easy if you have a Kindle or a Nook. Just click Send sample on the right of a Amazon Kindle book page (example), or the Get Free Sample link next to the Buy Now button on Barnes & Noble (example). Start Now! A great place to begin sampling is right in front of you: this very blog. Cruise the Indie author postings from this month, click their links, download free samples, and start reading.